25th September 1915, aged 26. Brother of Lt. and Qmr. 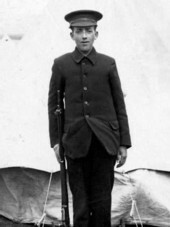 W. Manley, 5th Bn. Devon Regt of The Drill Hall, Millbay, Plymouth. 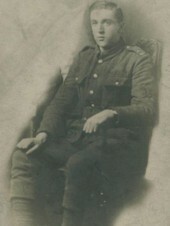 25th September 1915, aged 19. Son of Mrs Mathieson, 24 Berkeley Street, Brierfield, Lancs. He was unmarried and lived at 42 English Street, Craigneuk, Wishaw. Prior to enlisting he was a puddler in Stenton Ironworks, Wishaw. Son of Simon and Mary McGregor of Auburn Cottage, King Edward, Aberdeenshire. Killed on 25th September 1915, the first day of the Battle of Loos. He has no known grave and is remembered on Panels 112 to 115 of the Loos Memorial, on the family gravestone and the war memorial for the parish. He is also remembered on Glasgow University’s war memorial. Son of Albert and Minnie Millington, of 7, Maude St., Connahs Quay, Chester. Picture courtesy of Geoff Taylor, nephew of this soldier. 27th September 1915, aged 22. Born at Old Kilpatrick, County of Dumbarton, Scotland 14th July 1893. 5th January 1916, aged 28. 13th October 1915, aged 35. Son of Henry and Mary Moth, of 10, Brecknock Rd., Camden Rd., London; husband of Emily Eleanor Moth, of 12, Haverstock Rd., Kentish Town, London. 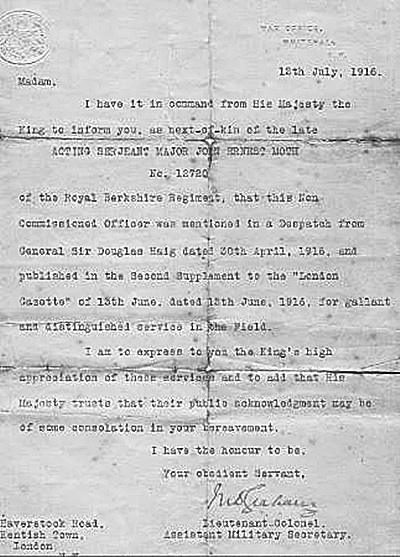 29th April 1916, aged 36. Son of James and Kathleen Naylor, of 6, James Place East, Dublin; husband of Margaret Naylor, of 100, Great Brunswick St., Dublin. 25th September 1915. aged 19. Son of Thomas Clark Neil and Mary Neil, of "Cairnvue", Woodburn Avenue, Airdrie. 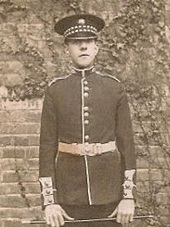 17857 Private James Neville, 2nd Bn. 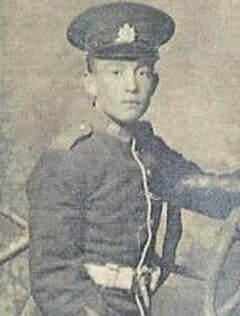 Oxford and Bucks Light Infantry, 25th September 1915, aged 29. Son of George and Hannah Neville, of Great Bourton, Banbury; husband of Ada Mary Neville, of 9, Britannia Terrace, Banbury, Oxon.